Wonda Service. Wonda Prices. Wonda Experience. Wonda Mobile brings you the latest and greatest mobile phones, tablets and gadgets straight to your door at competitive prices. With our large selection of mobile devices, not only will you find the hottest flagships from major brands, but also many unique designs from smaller manufacturers. 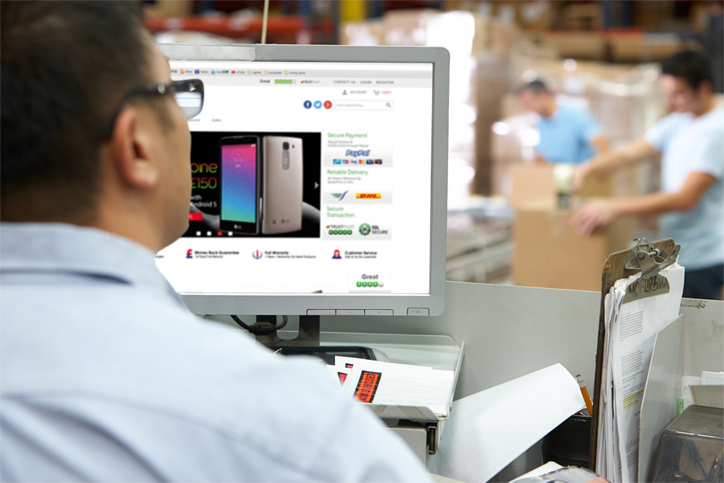 We take the extra step to setup all devices before delivery - every Android device will arrive fully unlocked with Google Play installed. Feel free to contact us for technical support if you have any issue setting up your device. We are Hong Kong based and ship all orders with Fully tracked courier service and insured. Most orders are delivered within 5-9 business days from the ordering date*. Our warranty covers most products for 1 year. You may return a wrongly delivered, defective or damaged product for a full refund within 14 days of delivery. To provide the best prices and service, we only perform transactions at www.wondamobile.com. We are not affiliated with other e-commerce platforms such as eBay and Amazon, nor are we related to any other online stores. Free normal shipping (7-12 days) to the UK, and extra shipping handling to Australia, Austria, Bahrain, Belgium, Canada, Denmark, Finland, France, Germany, Guam, Italy, Japan, Jersey, Luxembourg, Malaysia, Netherlands, New Zealand, Norway, Poland, Saudi Arabia, Singapore, Spain, Sweden, Switzerland, Taiwan, Thailand, United Arab Emirates and Vietnam. Shop now! Please don't hesitate to contact us if you have any questions. We answer most messages within 24 hours. 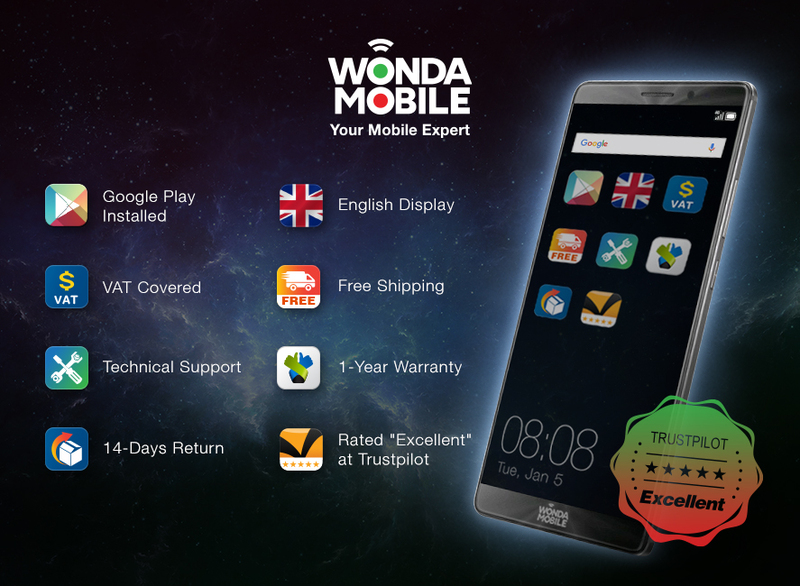 What Makes Wonda Mobile Better Than the Rest? Import custom fee/tax Included - We have arrangements with shipping courier to pay all import fees on behalf of you. The price at checkout is FINAL. Buyer no need to pay any custom fee/tax. Use Right Out of Box - Our technicians unlock all Android devices and install essential apps. Google Play, Gmail and Contacts are always installed before delivery. We also take the extra step to help you remove as many Chinese-specific bloatware as possible. Our software preparation exceeds that of all competitors. Huge selection of mobile devices - We are the exclusive seller of many domestic Chinese, Japanese and Korean phones and tablets in the UK and EU region. Contact us if you cannot find it here - we will find it for you. Free technical support - Our support team will work closely with manufacturers to assist you in setting up your device. Seamless shopping experience - Wonda Mobile accepts payment through Paypal by Paypal account and major credit cards. Ordering from us is secure and simple. You are also protected by Paypal Buyer Protection. *Shipping may takes up to 3 days longer to addresses outside of the UK, Ireland, France and Germany. Hourly-updated tracking will show the exact item location.